Model T Ford Forum: Need a book review of "8 women, 2 model ts......."
Need a book review of "8 women, 2 model ts......."
Model T Ford Forum: Forum 2011: Need a book review of "8 women, 2 model ts......."
"8 Women, 2 Model Ts, and the American West"
"Any color, so long as its black" "Designing the model T ford 1906-1908"
The book is a very simplistic explanation of the design and operation of a Model T. Not bad for a newbie but a little dull for those with a little morer experience of T's. John owns a very nice 1917 Duncan & Fraser bodied T that was built by his grandfather company in Adelaide, South Australia. 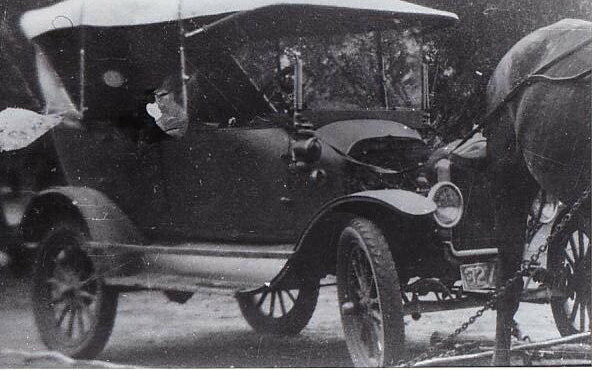 Know the car well, sorry to correct you Warwick, but it is a 1918. 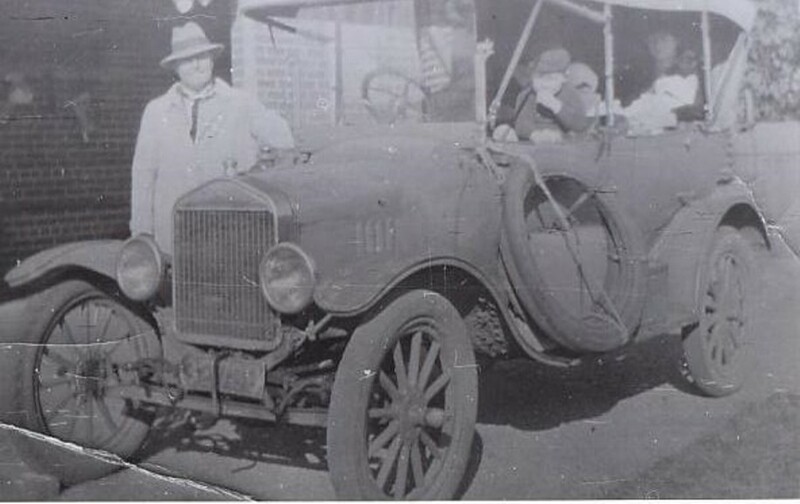 Here are three c1930's photos of John Duncan's 1918 Duncan & Fraser Ltd. "Deluxe" tourer C183920 with the second owners, the Heitmann Family from Renmark, South Australia. The car had a hard life and the car was bought in 1969 in Renmark from the Heitmann family and restored by the late Geoff Haines. She came back on the road in early 1972. John Duncan is a great-grandson of James Duncan, founder of Duncan & Fraser in 1865. The car was at Echuca in 2008 but blew a big end. Further investigation has found the motor in a sad state and it is currently in pieces being overhauled. In an almost identical pose as the photo above here is the car back on the road at a local "Almond Blossom Festival" at Willunga, South Australia. 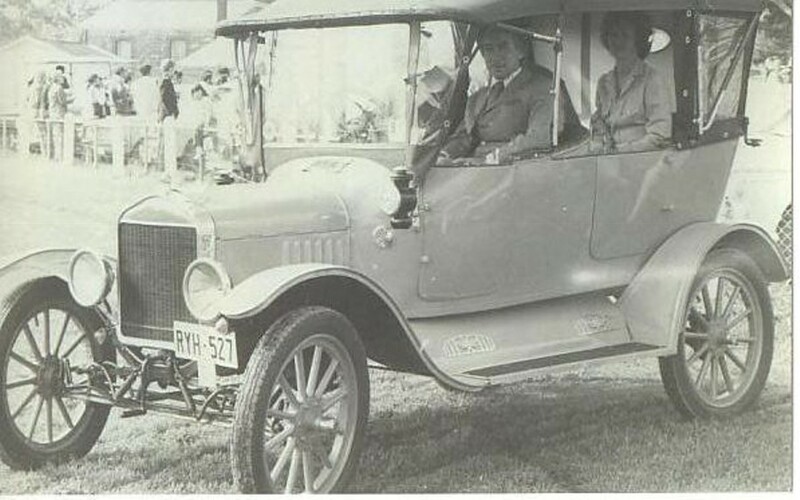 The passenger is our then State Premier, the Right Honourable Don Dunstan. He was an extremely popular leader, rather colourful and a controversial MP (Member of Parliament) that lead our state for about 10 years resigning in 1979 due to ill health. Thanks all, 8 women... and Ford tramps are both on my list. Sounds like I can pass on the "Any color....." book. Just got the "Farewell to Model T" book by E.B. White as a gift and it looks like a short but fantastic read. Well, ya' learn something new everytime you visit the Forum. I thought that book's title was about the Texas Chicken Ranch! 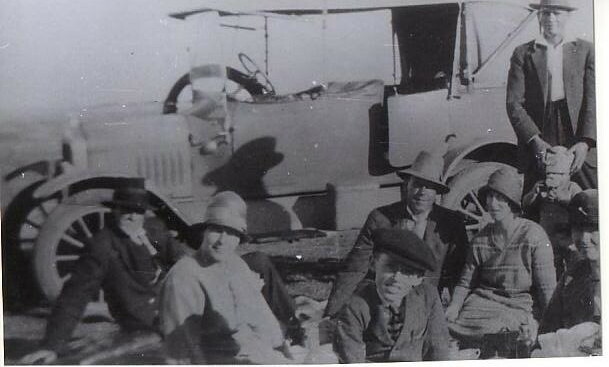 ( I have seen a picture on the internet of the "Ranch" in the twenties, with a Model T roadster pickup and another car (believed to possibly be a Chevy, parked outside. My wife bought that book a and read it a couple of years ago. I read it and and really enjoyed it. It gives a nice perspective on what it was like to travel cross-country back in the twenties. We really are too comfortable with the idea that we must have paved roads to get us wherever we want to go. For most of the Model T era, it wasn't that easy.